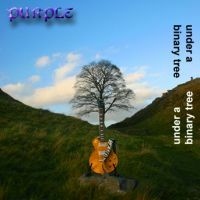 With soaring melodies, luscious soundscapes and intricate rhythms, Purple explores the boundaries between the mainstream and the progressive. The expanse of the canvas gives the music license to explore; sometimes driven, sometimes mellow, sometimes contemplative, always original. Using intelligent structures as the contraints and challenges wherein creativity can thrive, pictures are painted. Pictures of fantasy, pictures of ideas, pictures of feelings, pictures of spirituality and pictures of whimsy. 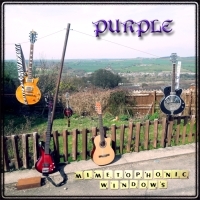 1st June 2015: The fourth album, Mimetophonic Windows is now OFFICIALLY released. Enjoy! 3rd March 2012: Breaking news! Right now BMS is only available as 128kb mp3. 320kb tracks will be released when we get to 200 FaceBook likers. FB users - hit that "find us on facebook" button at the bottom of the page then hit "like". If you like the music - share it with your friends! 3rd March 2012:Introducing the BandCamp widget (on you left) you can now stream BMS directly from this page! 26th Jan 2012: We are less then a week from the release of BODY:MIND:SPIRIT, and it's a cracker! The most ambitious and best album yet. Also there will be a nice little flurry of publicity, including the great viral marketing game. 27th June 2011:Downloading is about to be disabled from Last.fm because they mangle the embedded information in the MP3 files, removing the copyright information. Don't worry, you can now download from MediaFire. Incidentally, changing download source also increases the audio quality. 27th June 2011:New look website revealed! Yes this is it, the one you are looking at. All sorts of nice features. 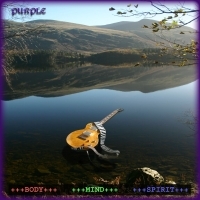 25th June 2011:Announcing: (provisional) release date for BODY:MIND:SPIRIT is 11.11.11. 24th June 2011:The new album will be called "BODY:MIND:SPIRIT" (unless I change my mind again). 4th Feb 2011: Work is well underway on the next album. Codename (and possible actual name) "B:M:S". 25th March 2010: Donations have gone live! 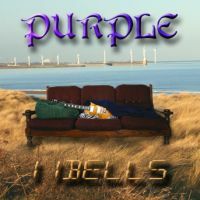 You can now donate to the Purple music project. 25th March 2010: Blog launched! Read my blog about the music at blogspot.